Banks and credit unions despise the extra regulatory pressure they've had to endure in the aftermath of the financial collapse a few years ago. But research suggests they have no one to blame but themselves; if you blow consumers' trust, of course more regulations aren't far behind. 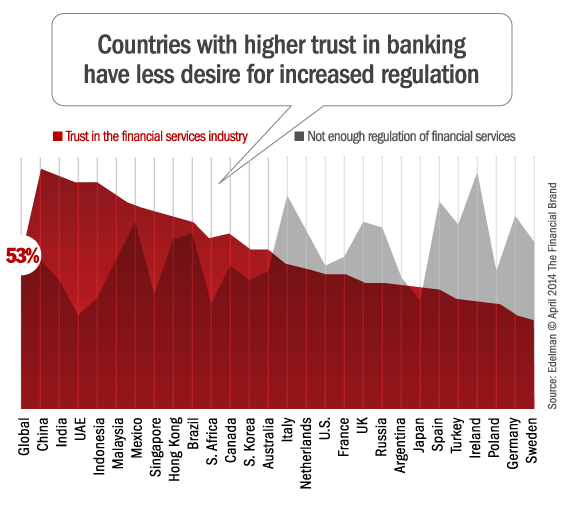 But this study suggests banks could rebuild trust with consumers, cries for increased regulatory scrutiny should ebb. 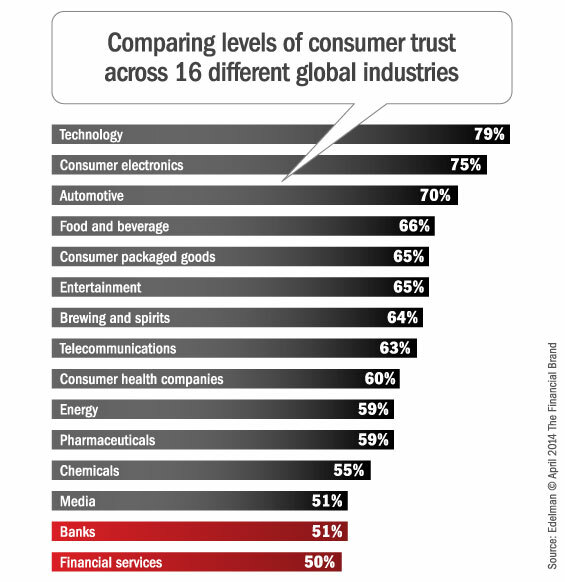 As the financial services industry continues its path to recovery, the importance of trust – or lack thereof – remains front and center. Despite slight improvements in trust levels compared to five years ago, the demand for structural and regulatory reform in the industry remains high across the globe, and the need to rebuild trust through performance is increasingly apparent. 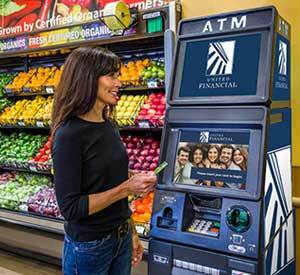 According to findings in the 2014 Edelman Trust Barometer, today’s consumer wants to be sincerely engaged in a way that conveys a deeper understanding of their personal goals and values, and what is important to them about their financial institutions. Yet, as negative headlines continue, it is increasingly difficult for consumers to trust when the discussion continues to surround new fees, narrow product offerings and fine print – all of which signal a return to the “old ways” of business. So, what’s ahead? 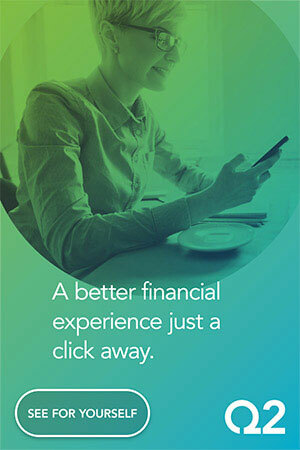 As the financial services landscape changes, so comes opportunity. 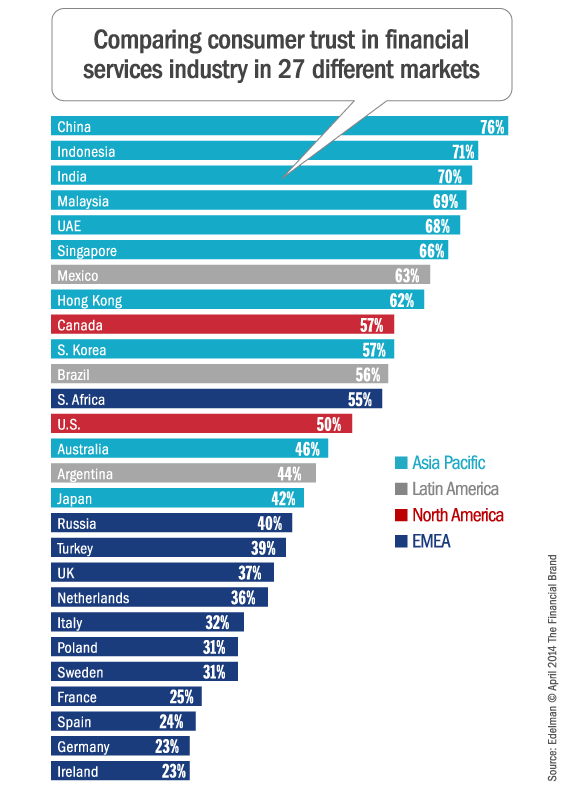 The Edelman Trust Barometer, now in its 14th year, makes it clear that engagement and integrity are the path forward to building trust with consumers, employees, regulators, partners and clients. Now is the time for industry leaders to seize the opportunity by rebuilding trust in a way that is sustainable for business and puts customers and society at the center of focus. Edelman says that trust is built according to 16 different factors clustered in five separate groups, listed here in rank order of importance. This article was originally published on April 22, 2014 . All content © 2019 by The Financial Brand and may not be reproduced by any means without permission.